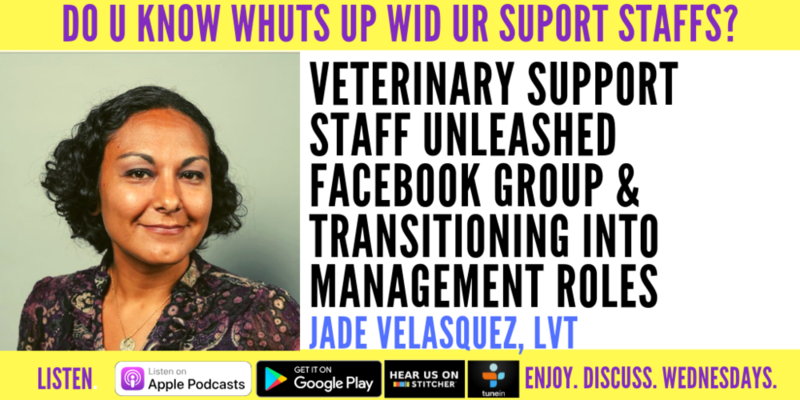 This week we're excited to sit down with the licensed veterinary technician, Jade Velasquez, who started the popular Facebook group, Veterinary Support Staff Unleashed. In addition to her work as an LVT and Facebook group administrator, Jade has recently transitioned into practice management. Host veterinarian Dr. Ernie Ward and registered veterinary technician Beckie Mossor explore the unique way Jade became a licensed veterinary technician, what her greatest challenges and biggest surprises were as she started managing a busy veterinary clinic, and what her goals are with Veterinary Support Staff Unleashed. This is an energetic conversation with loads of practical tips and tricks! Find out Jade, Beckie, and Dr. Ward's favorite time management tools, which personality test they prefer for staff (and themselves), and what the biggest support staff complaints and issues keep popping up on Jade's Facebook group. Don't forget to subscribe and please give us a review on iTunes! Newer PostBanning Pugs & Brachycephalic Breeds: Where Should Breed Specific Legislation End?